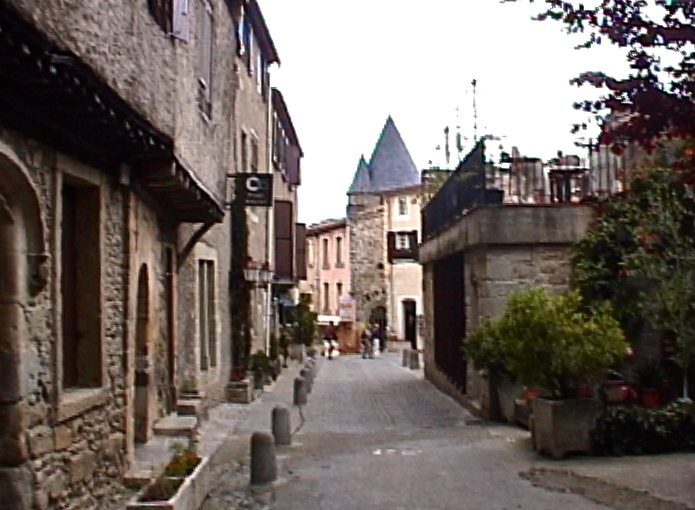 The city is located in southwest France, just north of the Pyrénées. It is essentially a Medieval city, but it has prehistoric and Roman roots. It has been at the center of historical circumstances numerous times. The site was first settled in the 6th century B.C.E. by a Gallic tribe. Situated on a hill overlooking the River Aude and a road crossing that river, the site is strategically located. The location also sits between two mountainous regions - the French Montagne Noir and the Pyrénées, which separate France from Spain. 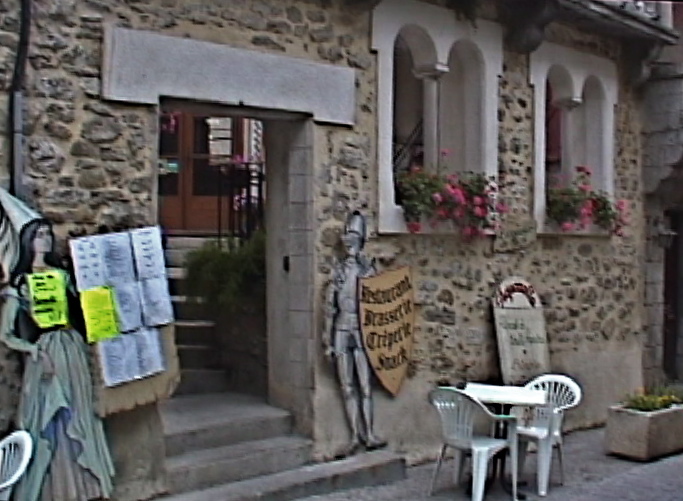 Here the city commanded the road, which actually led from the nearby Mediterranean Sea to the east across France westward to the Atlantic Ocean. Many such communities developed on high ground, both for protection and the opportunity afforded to view oncoming merchants, from whom some benefit might derive. This was a typical scenario throughout history. The Romans recognized the importance of the location and built a fortified camp on what was a small plateau. On the riverside, the site rises rather dramatically to a height of 150 meters (492'). As a Roman colony it was known as Colonia Julia Carcaso, and grew into a strong fortress and a prosperous city. Roman occupation occurred between 122 B.C.E. and the end of the 4th century A.D. 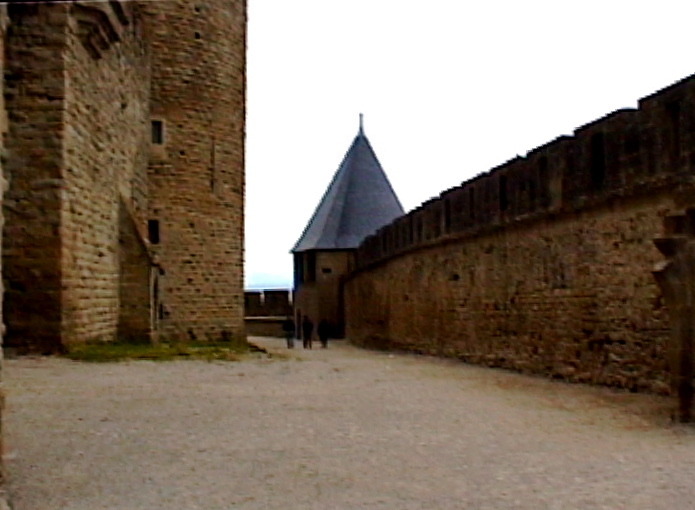 Walls protecting the city followed the configurations of the terrain. 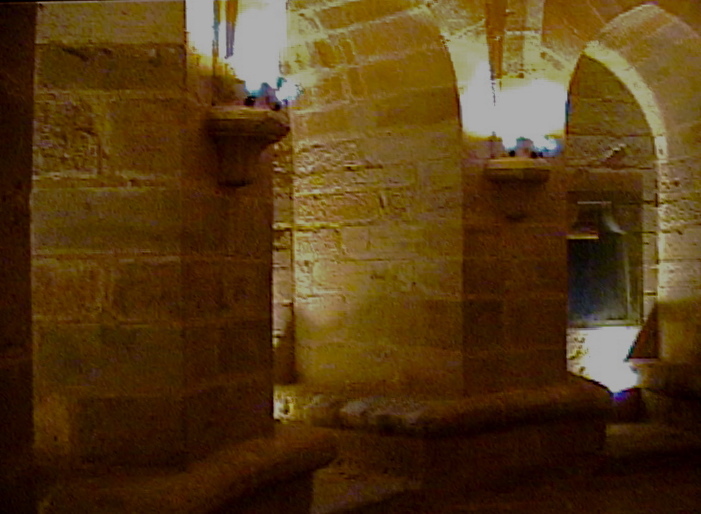 The walls were made of local sandstone. Within those walls, the Romans built temples, villas, and workshops. 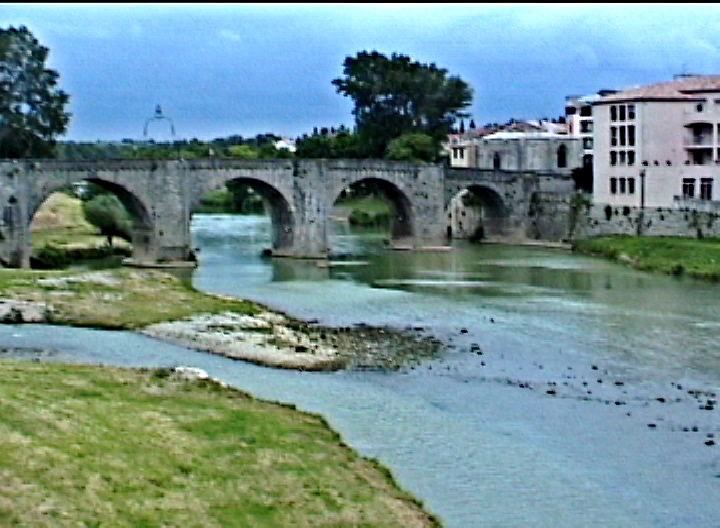 The city guarded a Roman road that provided military passage from the Rhone River in the east to the city of Toulouse to the northwest, and extracted tolls as high as fifty percent of the value of the merchandise carried. I do not really know if that figure is correct, but it wouldn't have taken too many stops before profits were gone, so there might be some exaggeration. If completely idle, check it out. 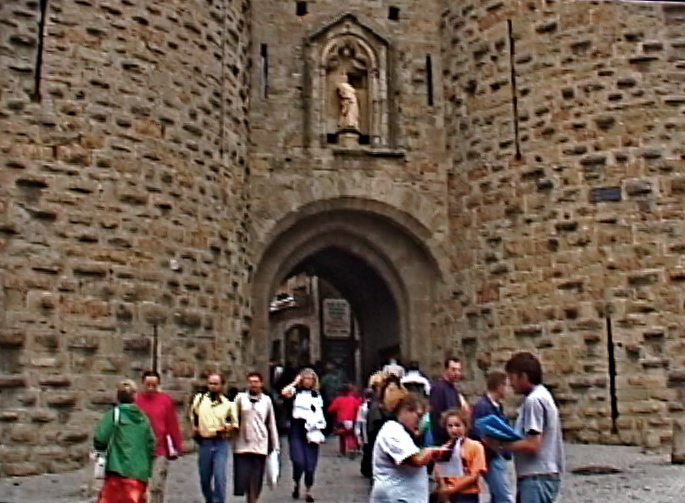 The Visigoths followed the Romans in their occupation in the 6th century and Carcassonne became a frontier fortress in ensuing wars. When attacked, the walls held, however, and helped those inside to negotiate surrender when necessary, as opposed to a complete sacking. As one group wrested control, those defeated soldiers then formed small gangs who roamed the countryside, forcing other communities to defend themselves. All in all an ongoing rather vicious cycle, that we are still in, in so many places around the world. By the 5th century the city covered an area measuring 159 by 335 meters (520' x 1,100'). Its completely encircling walls were approximately 975 meters long (3,200') and contained 29 semicircular towers. Those towers were designed by the Romans to resist the threat of battering rams. 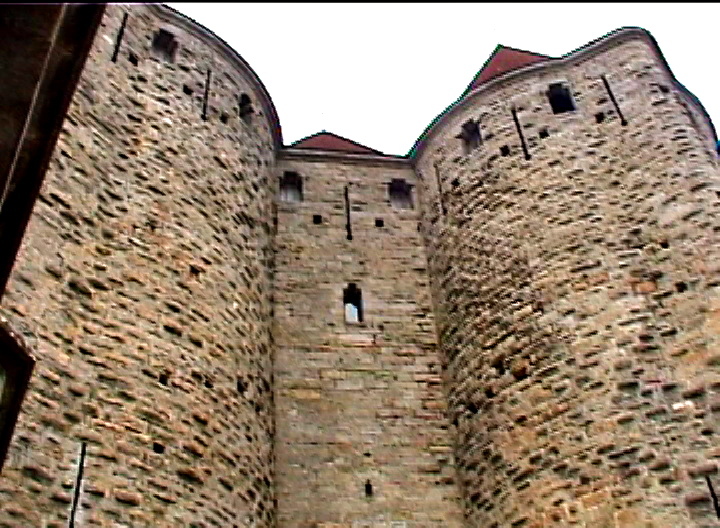 Small openings were set into the upper levels of the towers to allow the defenders to hurl their favorite weapon - javelins - and slingshots were also used to hurl stone at attackers. The walls were 2 to 3 meters thick, composed of inner and outer small stones cemented together in such a way as to produce a very solid structure that was given legendary status in the area. Locals used a mixture of 1/3 lime and 2/3 sand for mortar fill. The success of the mortar was probably due to the correct cooking of the lime, the addition of crushed bricks for aggregate, and proper tamping of the mix between the walls to avoid air bubbles, or what we today call "honeycombing." More on honeycombing immediately below. Another digression. When I. M. Pei designed the East Wing addition to the National Gallery of Art in Washington D.C. , which was completed in 1978 (he was also responsible for the John Hancock Tower mentioned above), he took the concrete workers into the existing Museum to have them view the art. Explaining the importance of what was stored in that building, comparing it favorably to what would be housed in the new addition, Pei tried to impart the significance of the structure. Pei's motive was to get the workers to produce a perfectly finished concrete structure, which would be exposed in great measure. Honeycombing is not only structurally weakening, it is ugly. Aggregate is exposed, voids are revealed, and as ugly as it is, it is equally dangerous, structurally. Pei realized that most, if not all, the workers had never been inside a museum of art. As they left, the workers indicated a realization of the significance of their work. It is sad to think that 1,500 years earlier a society we view as "primitive" and "barbaric" understood the value of quality labor, while we in our "civilized" society allow people to die in hurricanes, floods, fires, and tornadoes because of our poorly executed and ill-conceived constructions. Saracen attacks came in the beginning of the 7th century. 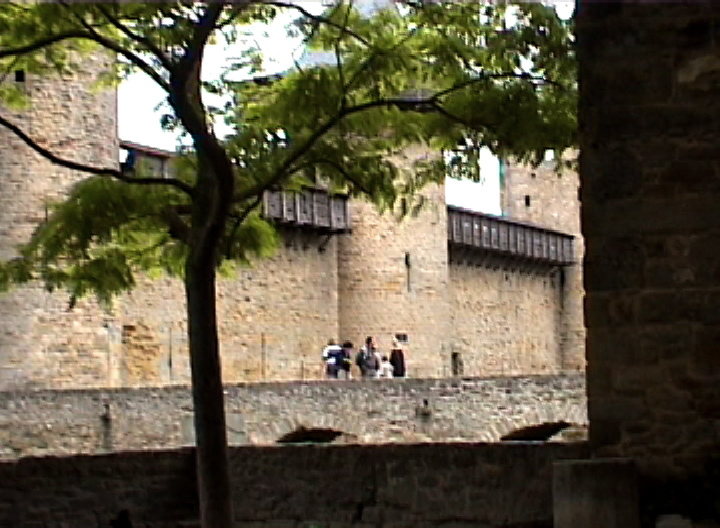 In 725, the Muslim governor of Spain besieged Carcassonne, and his people stayed for 34 years, leaving without any trace of their short duration. It was Pepin the Short - you do remember him - who instigated the expulsion of the Arabs. Suburbs grew at the foot of the citadel, with houses huddled about a church. 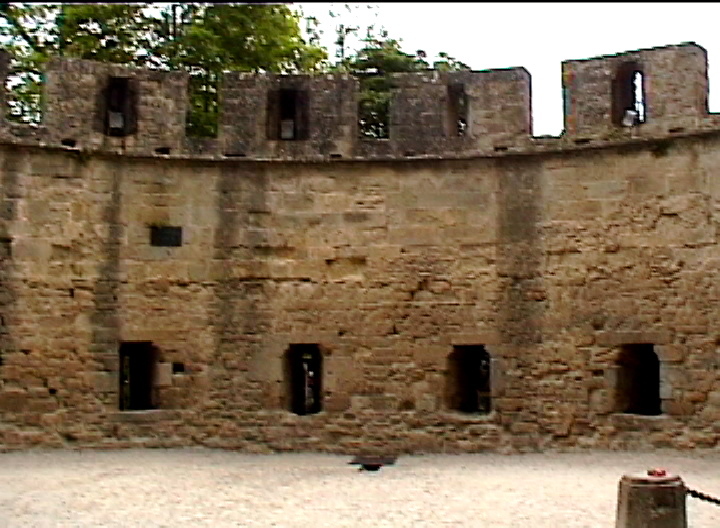 Fortifications were modernized for the time, and a second wall was added outside of the original. The suburban communities were also fortified. Houses had painted walls, floors that were tiled or paved with stone, and simple furniture. The area became prosperous. Under the pretext of "heresy", northern Frenchmen attacked southerners in a witch-hunt like frenzy. The city fell again in 1209 at the instigation of Pope Innocent III, resulting in the destruction of all the houses in the area, including two new towns. The city became a self-contained little world of labyrinth streets, fortifications, etc., while a rival town was built to replace the two destroyed towns. 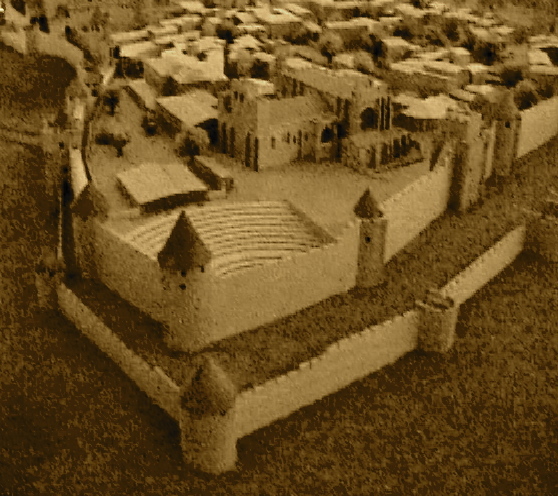 The new town became known as the "bastide" (build), and became a market-oriented community, while Carcassonne became known as the "cité," and existed principally as a fortress. The Prince of Wales took control during the Hundred Years War with England, and the entire city was set on fire. It is almost a story without an end. 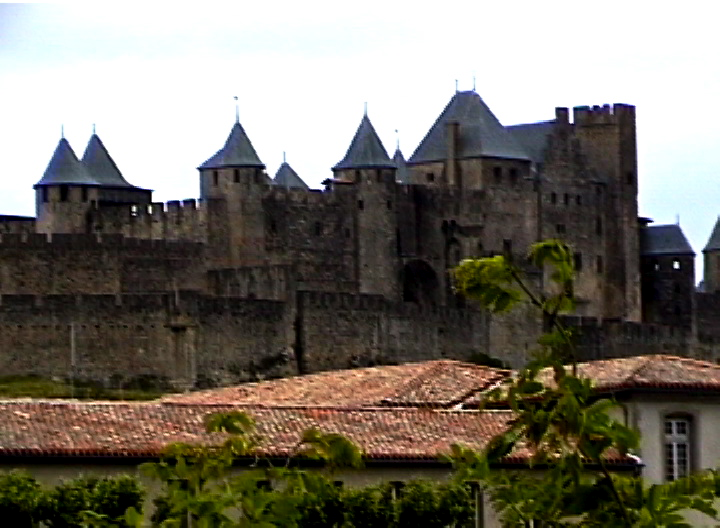 Suffice to say that in the 15th century the development of gunpowder and the deployment of artillery caused Carcassonne to become a technically outdated construction. 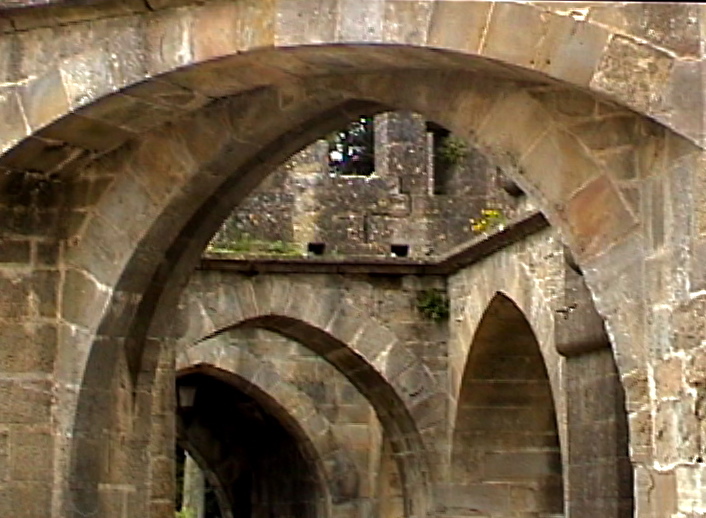 A main entrance, with semi-circular arched opening. 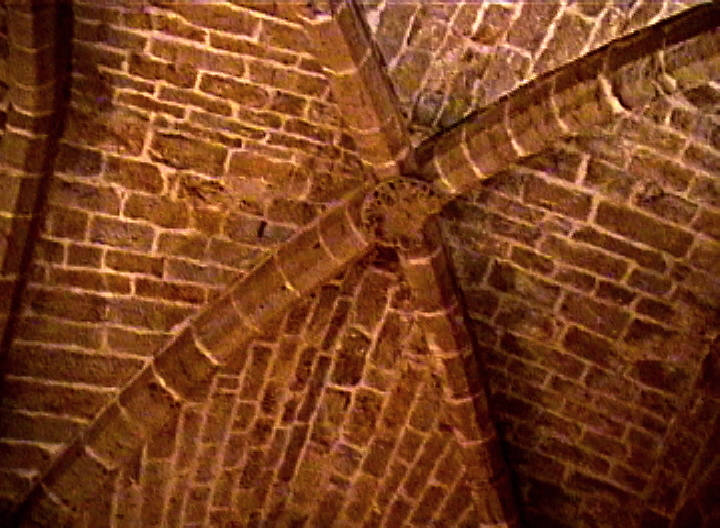 Immediately inside is a pointed arch, indicating construction during the Gothic period. 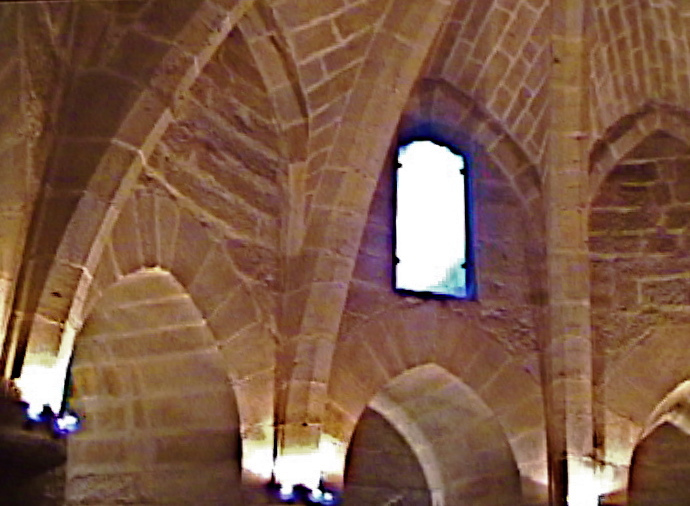 A profusion of Gothic arches, which actually shows us that the Gothic, often associated with religious structures as we will see – was not confined to church building, but applied as well to secular domestic architecture. We are jumping ahead here, but since we are inside the city, we might as well see the development of the Gothic as it occurs. Articulated ribs provide a skeletal structure infilled with cut stones. Ribs culminate in one spot in the roof, with a slightly decorated boss. Notice how much interest is generated by the articulated structure revealing itself. In the plainest of words, it is nice to know just how something is built. 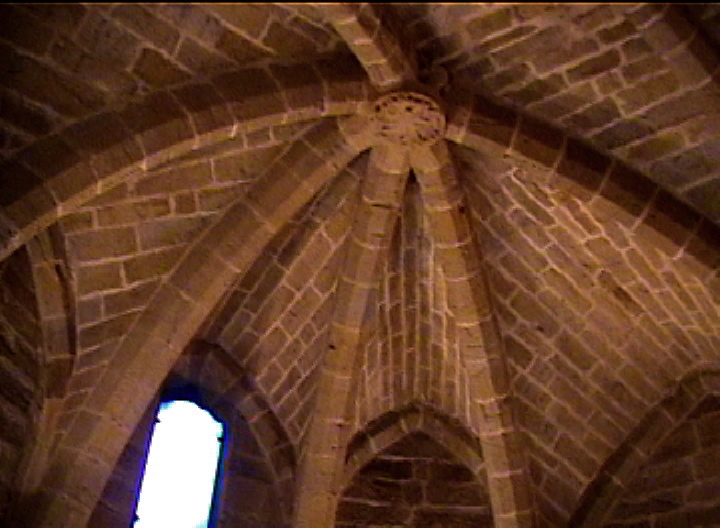 A groin vault, really articulated, in that the stones of the four segments between the ribs are laid in the direction of their curve. We end with a bit of kitsch – simply catering to the tourists.